The UNUM is an application that serves to measure the audience of Instagram accounts. 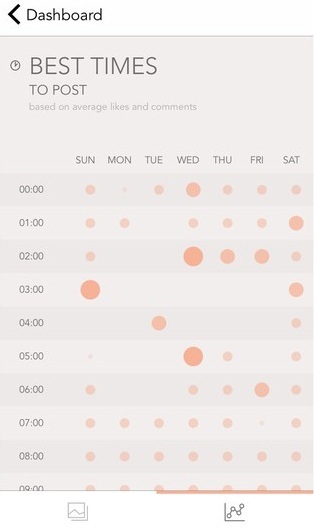 The use is simple and the app provides interesting data that tell you success in the social network, as what was your best shot, the more tanned or commented, average "likes" and even the best time and day of the week to make a new post. Top Posts: The user can check his most talked post. It details, in the ranking, all that registered more activities and interactions. It makes you easy to think of a similar post / picture in the future. You can filter the most tanned photos of all time, a month or a week. The results should vary according to the selected option. In the application, the user homepage can check your latest photos and place them next to be loaded. 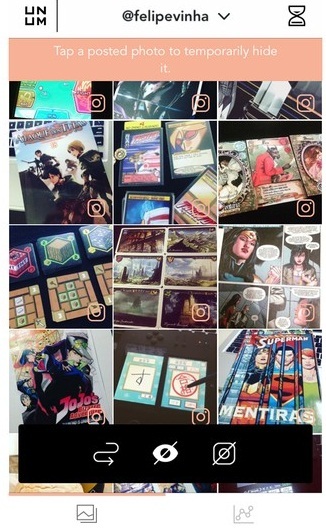 The idea is to get a sense of how they will be organized in the feed of pictures that appear in each user's profile. Still on the home page when you tap the hourglass icon in the upper right corner of the screen, the user has the option to program and view reminders of future publications. The application does not schedule automatic posts, but has a way to help with this. In "Reminders" you check already created and can create one by touching the screen, choosing the date. In "Custom Post" you can create a custom reminder, writing even what kind of picture you should publish on a particular day or time. In "Calendar" visualize the reminders set in order, ideal to organize. Here you can check the detailed data of the Instagram account. 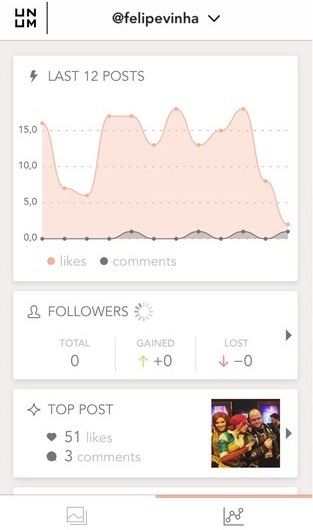 Followers, number of Likes and comments, best times to post new content and hashtags that give more results. All data is consolidated into a single page, but they can be detailed by pressing the corresponding option. So you can check with more information, and improve your online interaction. In "Best times" the user verifies the best day and time of day to publish new posts on Instagram. The dots that appear represent the activity and interaction that your pictures received. The larger the dot, the picture has more interaction that day and time, the lower represents the opposite. You can check every 24 hours of the day and all seven days of the week. In "Best Hashtags" the user checks which hashtags brought more returns to the account, always with results calculated based on the overall average. You can drill the selected hashtag and check which photo it was used. It is recommended to use the hashtags more tanned photos, for even more results in the future with other posts. Finally, the UNUM has a useful area of own setting, click Settings in the menu that is in the application's icon on the home page - the top left corner. The settings allow customization of basic elements such as colors of the app and the data list. 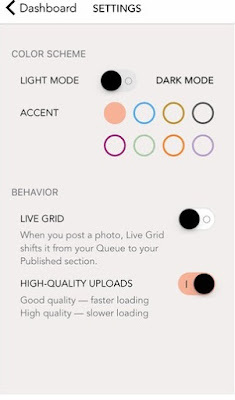 The UNUM helps monitor your Instagram and set reminders to create posts on time, according to the basis of your busiest times.